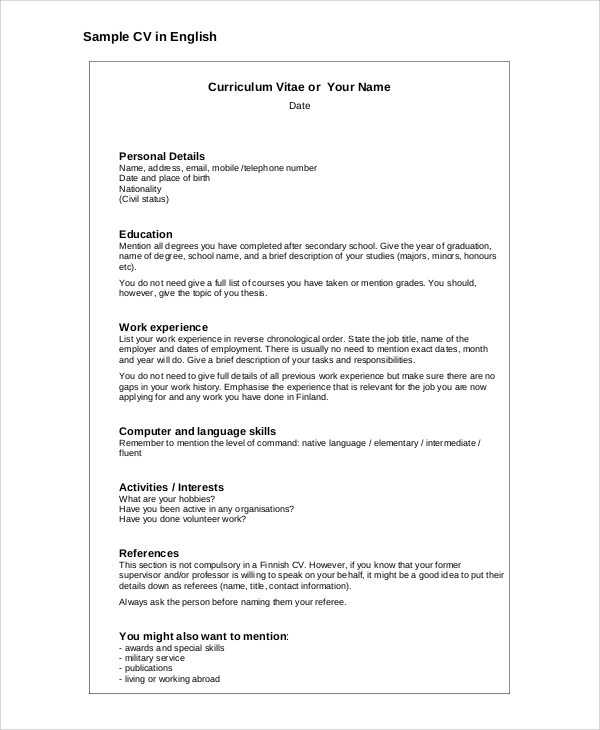 Curriculum vitae or CV is also known as resumes and it is a document which an applicant furnishes with their application letters. CVs reflect and display the candidate’s educational qualifications and any experience that may be related to the job they are applying for. CVs allow the recruiters to determine whether or not the applicant is qualified for the job for which he/she has applied. 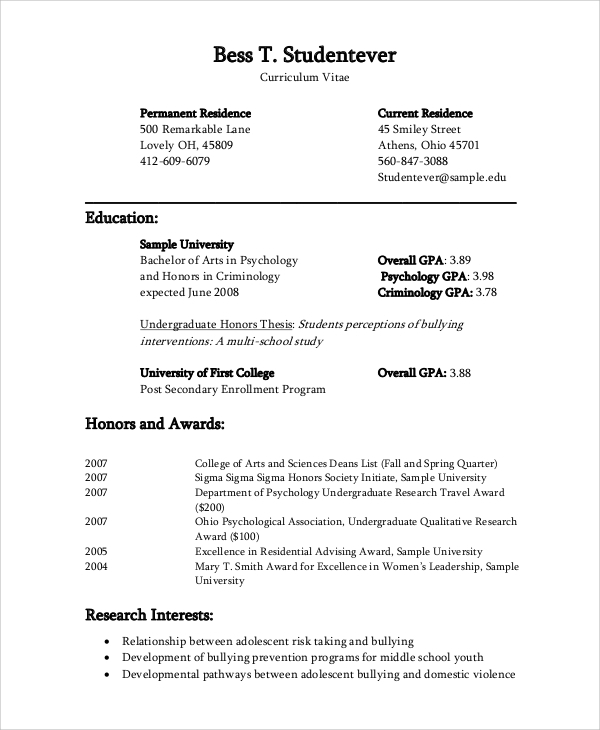 The following is a list of CV Samples for you get a clear idea about it. 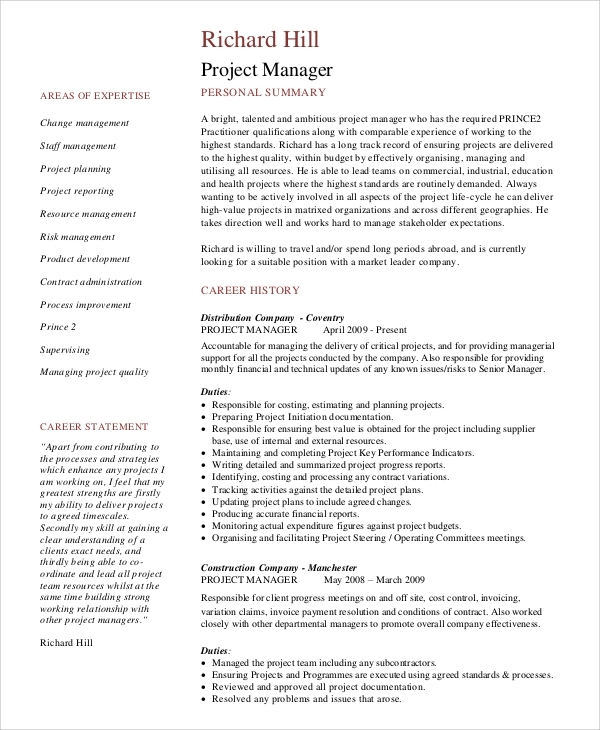 A CV for a project management applicant should include their educational qualifications, with special emphasis on their knowledge on the theory and practice of the principles of management. It also should involve any experience on the part of the applicant so that they have more chances of being recruited for the job. 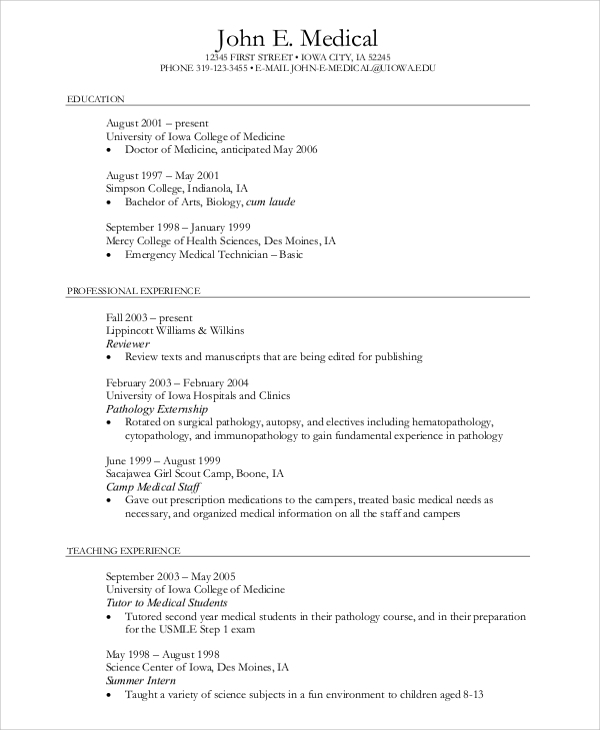 A CV for a medical student is an important document for a student of medicine when they go on to apply for work in reputed hospitals or clinics. Such a CV should obviously include their educational qualifications in medicine and in related fields and it should state the practical experiences that the applicant has had before applying for the job. 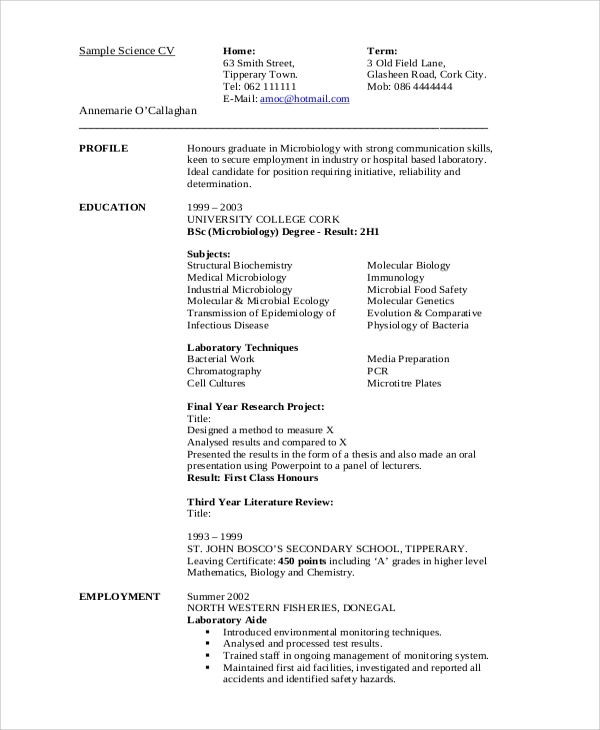 For an engineering student, their CV should emphasize on their educational and technical qualifications and at the same time it should also clearly express any experience the applicant may have had before applying for the position in a firm or organization where their skills are required. 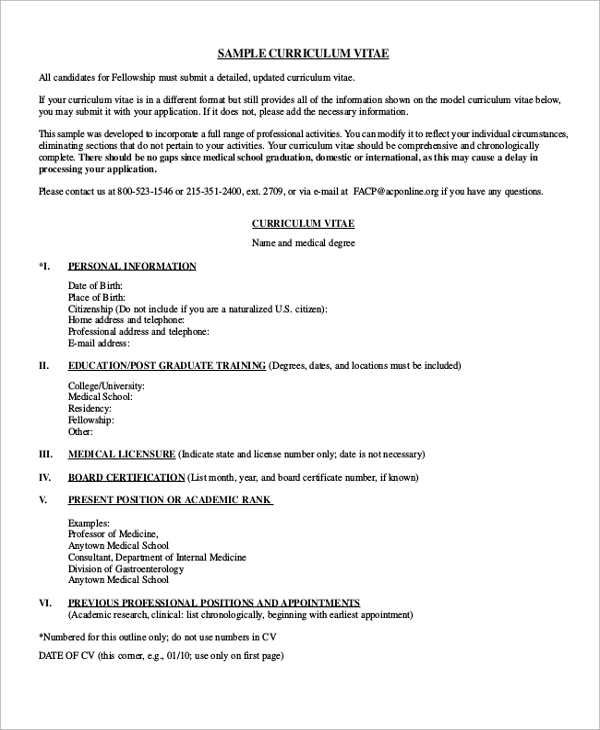 Students who have studied psychology may wish to apply for the position of a counselor or a psychologist in a hospital, clinic or an organization, wherever their services are required. In this regard, their CVs should include their educational qualifications, with special emphasis on Psychology. It should also state practical experiences (if any) by the applicant. 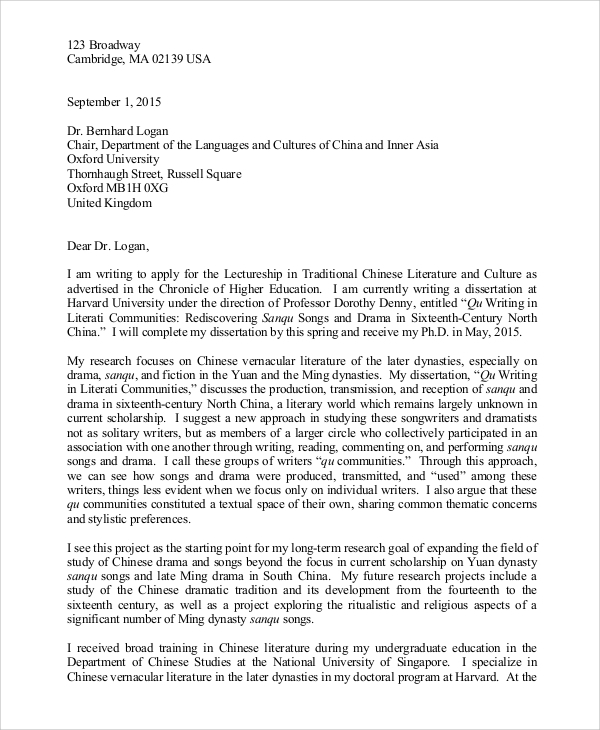 A cover letter, also known as the letter of introduction, usually accompanies the CV. The cover letter becomes the basis for the CV by letting the recruiter know that the applicant is interested in applying for the said position. Through the cover letter, the recruiter is told in brief about the applicant’s qualifications and experiences, which can encourage the recruiter to have a look at the CV that has been enclosed with the cover letter. The above mentioned Blank CV Samples are of immense help to students who wish to work after the completion of their education. Good CVs should reflect their qualifications, experiences, and aptitude that will be crucial in determining whether or not they are recruited for the job. Thus, formatting a good CV is imperative for every student. The given CV Examples are designed for students who desire to get a job right after they have graduated from college and are keen on utilizing whatever they have learned in their careers. These samples have been designed in a way that will give such students an idea as to how good CVs can be formatted. We have a wide variety of resume sample templates which are completely editable and can be easily used to format a CV for your use by filling in the information as per the nature of the application you wish to apply for. 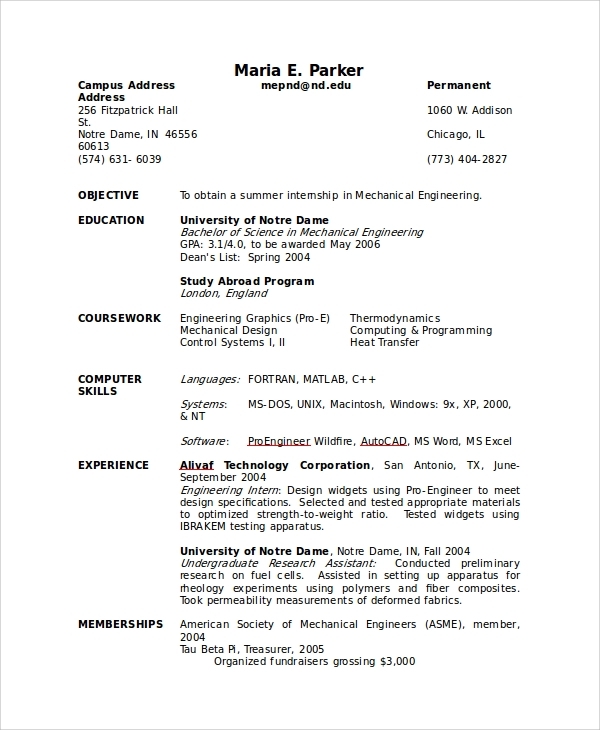 Or, these CV samples can act as a guideline for reference in case you desire to format an original CV on your own.